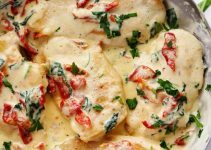 While the keto diet puts a huge emphasis on the intake of healthy fats from fish and beef, chicken is also a great option to get your protein intake while playing around with new flavors. These hemp heart tenders are a perfect addition to your meal prep as you get your meals ready for the upcoming week. 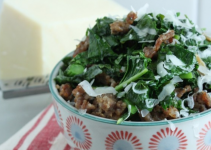 This recipe makes up about four servings and are loaded with key nutrients. GLA is a building block for some prostaglandins. Prostaglandins are hormone-like chemicals in the body that help control inflammation, body temperature and help with many other bodily functions. Hemp seeds have shown significant results in its role in improving arthritis. The Journal of Ethnopharmacology published a study looking at hemp seed oil and its effects on arthritis. The results showed that hemp seed oil treatment lowered the survival rate of rheumatoid arthritis cells and could possibly promote cell death[*]. Hemp seeds are the perfect appetite suppressant that helps you feel fuller, longer. 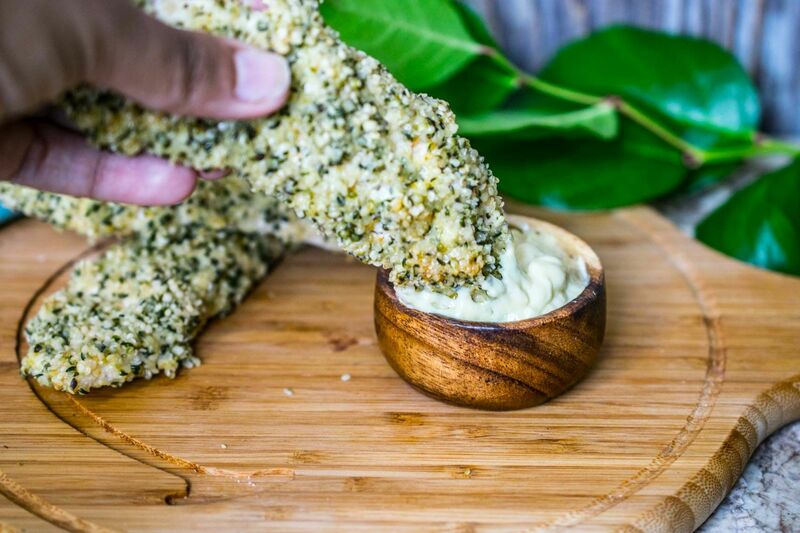 Along with getting a great dose of healthy fats and protein, these hemp heart tenders will fill you up and satisfy those taste buds! The fiber content in hemp seeds is extremely beneficial to help your gastrointestinal system. These seeds also keep your gut healthy with its positive effect on probiotics. The oil obtained from hemp seeds in the ideal oil for healthy cell growth. It can be used to treat a variety of skin conditions including Eczema and Psoriasis. The next time you feel as though your keto diet is lacking in flavor and fun, try these chicken tenders coated in nutrient-packed seeds. 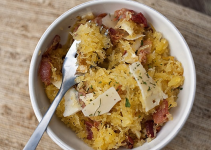 This recipe is guaranteed to satisfy your hunger pangs and leave you full and sated until your next meal. Hemp hearts, aka shelled hemp (seeds are packed with omega 3 and omega 6 fatty acids. Also high in GLA (gamma linolenic acid) which can help reduce pms symptoms. Pretty much obsessed with them lately. These tenders are nut and coconut free. Heat to oven to 425F. Cut the chicken breast into tenders, each breast should make 4-5 tenders. Set aside. Set out three shallow bowls. In one bowl place the hemp hearts. In the second bowl whisk together the egg, water and vinegar. In the third bowl mix the nutritional yeast, flax meal, garlic powder and salt. Lightly grease your sheet pan. Coat each tender lightly in the flax meal mix, then dredge in the egg mix and finally coat it with hemp hearts before placing on the sheet pan. Bake for 15 minutes. Use a spatula to carefully flip each tender, then bake another 15 minutes. Remove from the oven, use a spatula to scrape up so the breading doesn’t stick to the sheet pan. Serve with your favorite sauce.